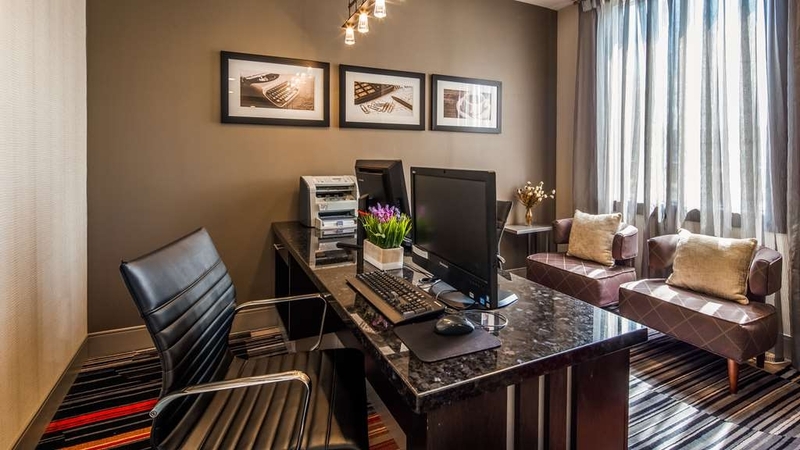 The Best Western Plus Waterloo is ideally located in the center of Waterloo. Come and experience our hotel near the major tourist attractions. Best price guaranteed and exclusive deals. 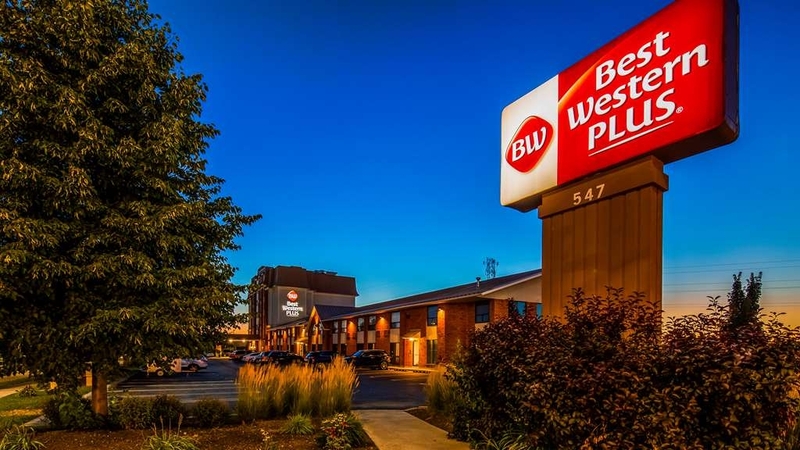 Honest, uncomplicated and comfort are the keys with us here at the Best Western Plus® Waterloo. 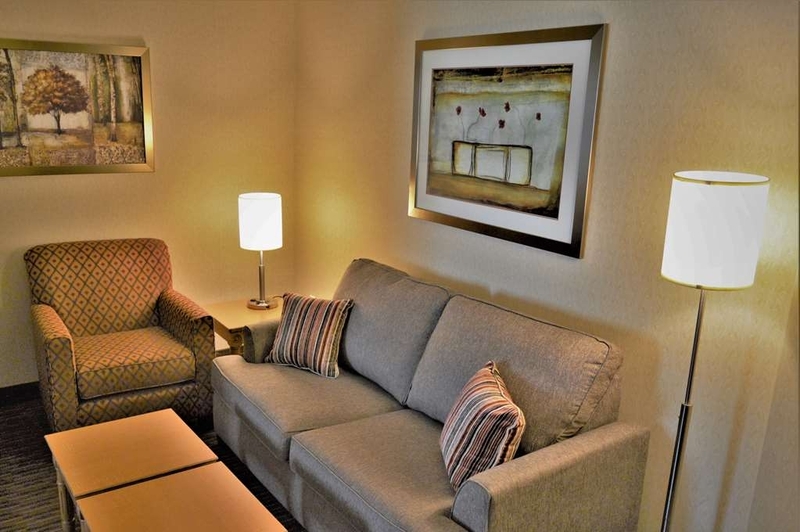 Come relax in our modern suites and rooms where our guests enjoy high-end amenities including complimentary high-speed Internet, large flat-screen televisions, plush pillowtop mattresses and a mini-fridge. 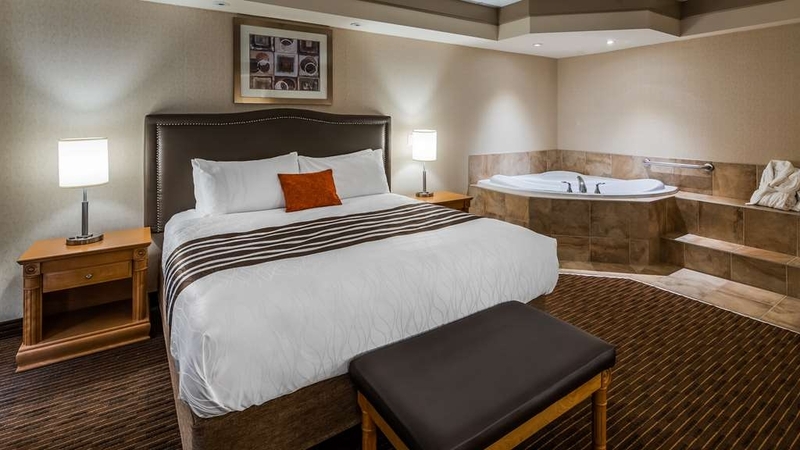 Location is key to a hotel’s popularity and our proximity to the Village of St. Jacobs and other enticing Southern Ontario attractions make our hotel the ideal destination. 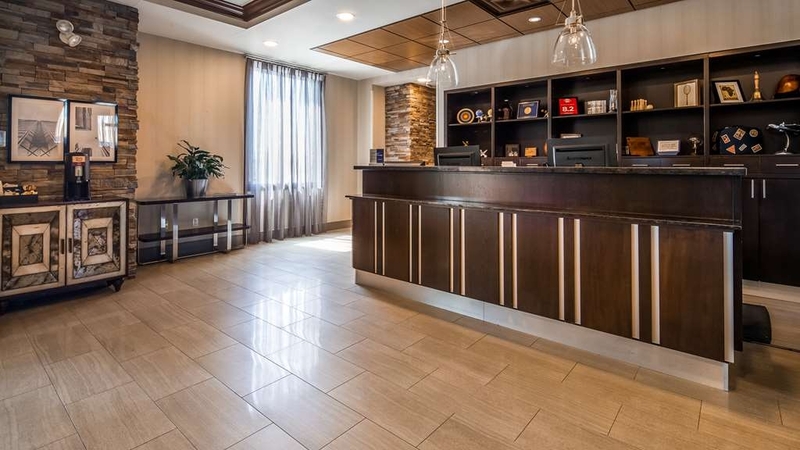 Travelers will love our hotel's central location in the Waterloo region, just minutes from Waterloo’s Technology Park, RIM Park, and both Universities. Enjoy your stay! The staff, the room, the pool, all made our stay very comfortable. 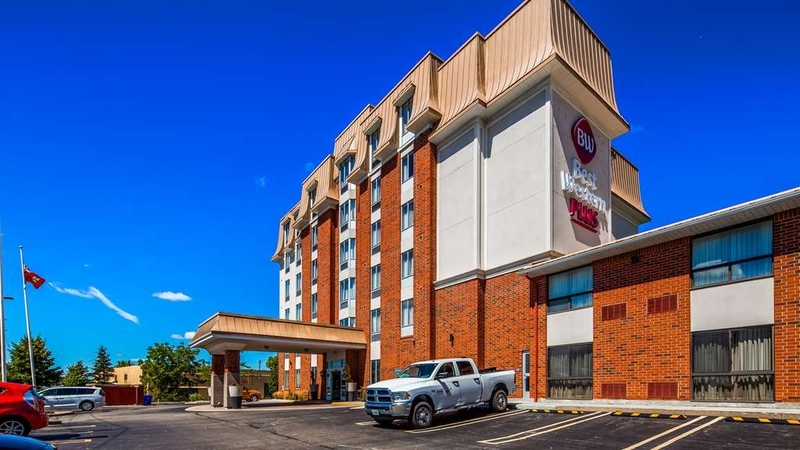 After several hotel stays in the last year I found this Best Western responded in a very positive way to any and all our concerns and were the best in all areas. Keep up the great effort. Thanks. Thank you so much for taking the time to review our property. I will be sure and pass on your kind words to the team! We would love to welcome you back to the hotel should your travels bring you back to the Waterloo area. Excellent location, very clean, friendly professional staff, lounge and breakfast were great with good value. My room was much larger than expected for the price - would definitely stay at a best western plus again. This was my first time staying at this Best Western. Staff were great to deal with. 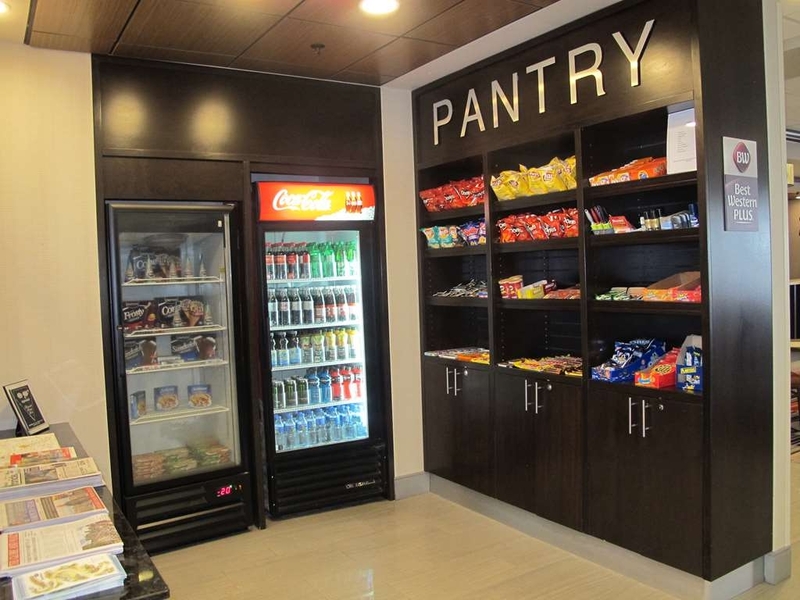 Hotel has plenty to offer and nearby anything you may need. Good for family, business or romance. Would recommend this hotel to any in the area. The hotel is a bit better than many other Best Westerns, the rooms are a bit larger, the decor is great and the lighting is acceptable. However, the staff at this hotel are truly the reason why I will pick this location over the Delta or any other location. Any and all issues are solved quickly and made with the intention to not affect the guest's plans. 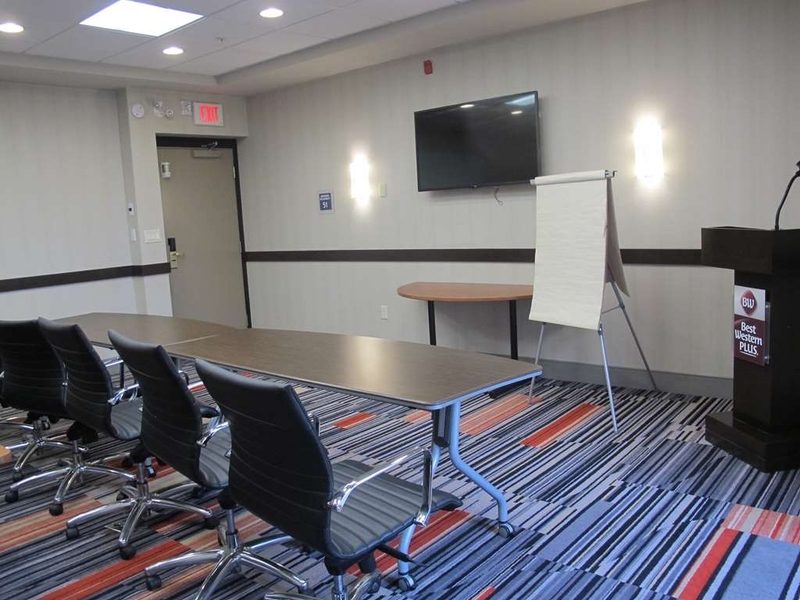 The hotel is in a perfect location in Waterloo, beside a major shopping mall that literally has any and every store that you would and could need on a trip. 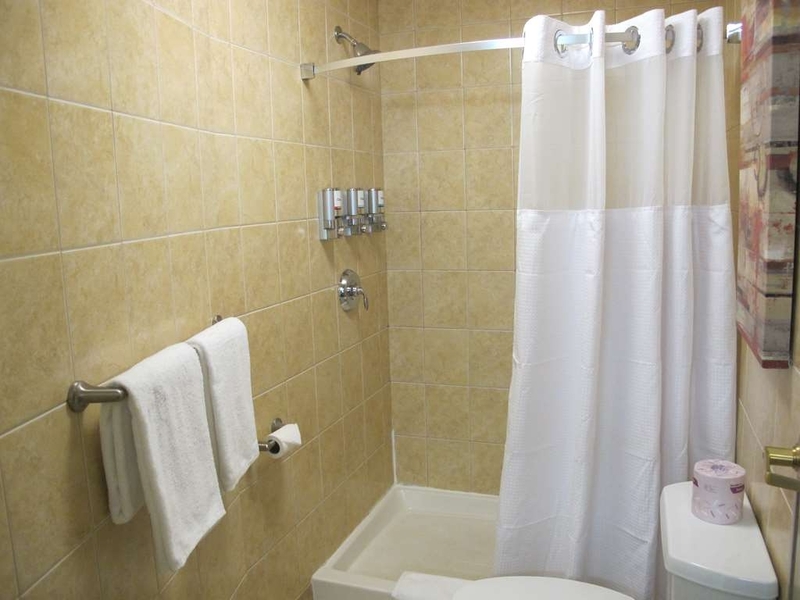 Moreover, as I booked multiple rooms, they were both very clean and had ample amenities. A bit more soap would be my only complaint for next time. Lastly, be sure to sign up for the Best Western Rewards program as that truly gives exclusive benefits and perks. "Good hotel if you dont require bedding"
We picked this hotel for the location for an event we were attending. It took almost 2 hours to have bedding delivered to our room. We have stayed here in the past and would entertain staying here again. We would hope that the service improves. "The service is what makes the difference here"
I was looking to borrow an umbrella (most hotels offer this). Tyson a the front desk told me that they don't have any at the hotel, although he was going to look for one; maybe someone left one behind. I was impressed with the fact that he cared and didn't say "No" immediately. Colleen assisted with tracking down an umbrella by calling housekeeping and seeking anything that she could offer. Ibrahim was contacted and offered his own personal umbrella for me to use. I was very impressed with his generosity and even offered it to me as a gift. I of course returned his umbrella to him after using it a couple days, but that was service. He doesn't know me, and definitely did not need to loan me his personal items. These 3 employees made a difference. To me, they made this hotel's star rating higher than a regular stay BW stay. If you have an employee rewards program, please recognize these individuals. Top scores for service. Tyson was amazing and bent over backwards for me on my business trip this past week. I was forced to stay due to weather and they made amazing accommodations to help me out. I am planning to be in the area again in a couple weeks and will definitely return. Surprising amenities and convenience with the restaurant. Great service! "Great place, very clean and understanding"
We stayed Saturday Jan 26th for the night. The room was very nice and we had no issues at all. We woke up Sunday to find our room flooded and had no idea why. We mentioned it to front desk and they said they would look into it. By the time we got home, some of our stuff was ruined because it was in the water. I contacted the hotel and they said they had a few pipes burst which caused the flood and that anything was damaged would be replaced. I sent them an email with the details and they refunded my credit card right away. Minus the flood, which is no ones fault, everything was great, we used the pool and it's close to everything we needed. 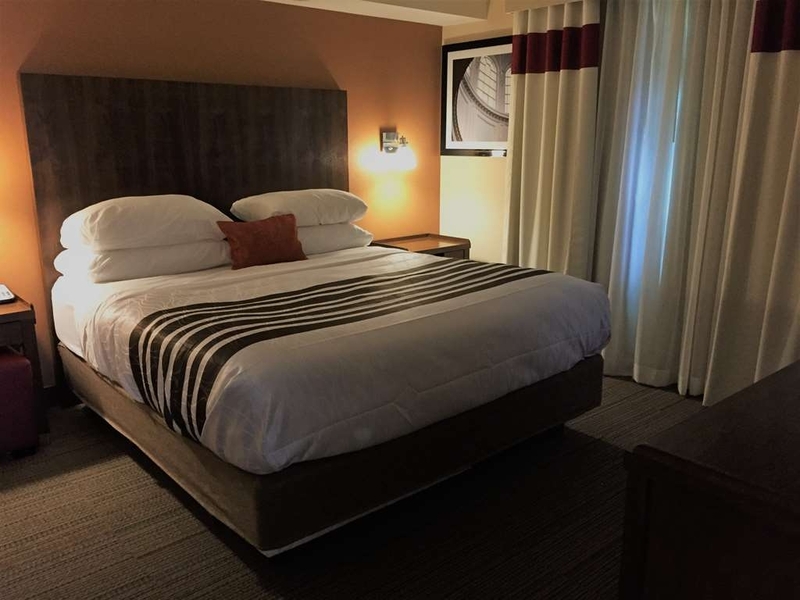 the room was perfect, everything was set up the way they had said, and the staff were very courteous and polite , the service from the restaurant was excellent, the dinner was served within a timely manner, and the prices were average,making it so you dont have to leave once your settled. "A Family visit to Kitchener"
Recently we drove to Kitchener to visit family. We booked this location because the price was the best in the area and we were able to arrange an early check-in. 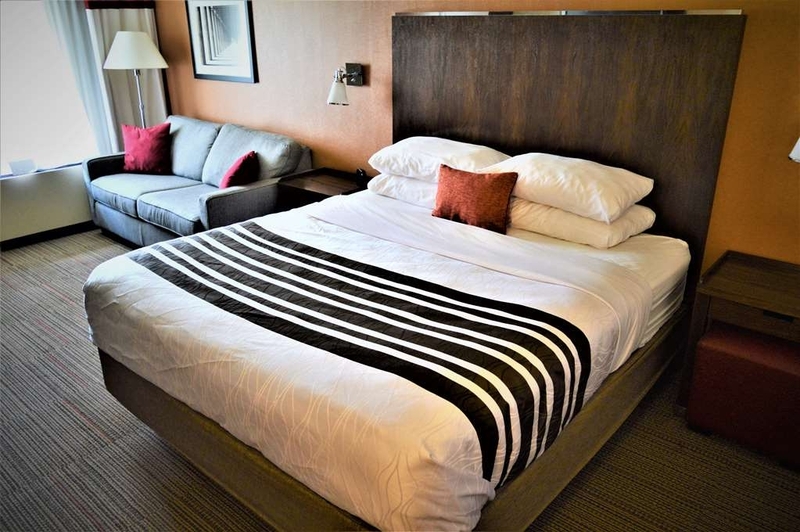 The hotel decor is very modern and the rooms were extremely clean and comfortable. The staff was great and helped with local dining options.There is a mall within walking distance and future tram service will past right by the hotel. Would stay again on next visit. "No service at this inn. Staff ruined the experience." Nice-looking hotel but not staffed at all. My toilet was clogged and I was told no plunger available as it was not “full-service” hotel. Had to try and use hanger to deal with it. Forgot to change to daylight savings time and I was woken up an hour early. I asked to discuss all this with manager. Never happened. I'm a Best Western platinum member and usually service is better than this. This hotel was our girls hockey team accommodations for a weekend tournament on Nov 2-4. There a few other teams there as well, but the noise was manageable and quiet by 11pm. The rooms met all our expectations. There were a few, what I would call below standard things, but they were predominantly staff issues. For example the pull out bed had no sheets or covers , but the desk clerk had no clue how to fix the issue, and finally gave me the key to another room to go steal a set from an empty room. She clearly had a bad weekend because she managed to frustrate 3/4 of all the parents there. But to look past that, good place to stay. 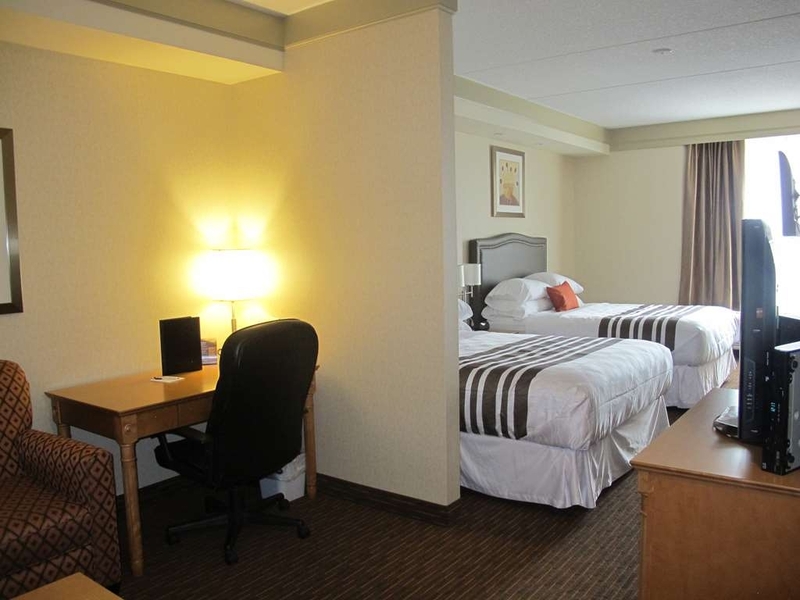 "Best Western Waterloo, ON Canada"
The room was very nice and kept clean with a nice layout. Didn't have a complementary breakfast. Reported outside entrance nearest my room card reader not working but it didn't get fixed during my 3 night stay. "Seamless accommodation and friendly service"
The hotel is in a very central location. Parking space was more than enough. 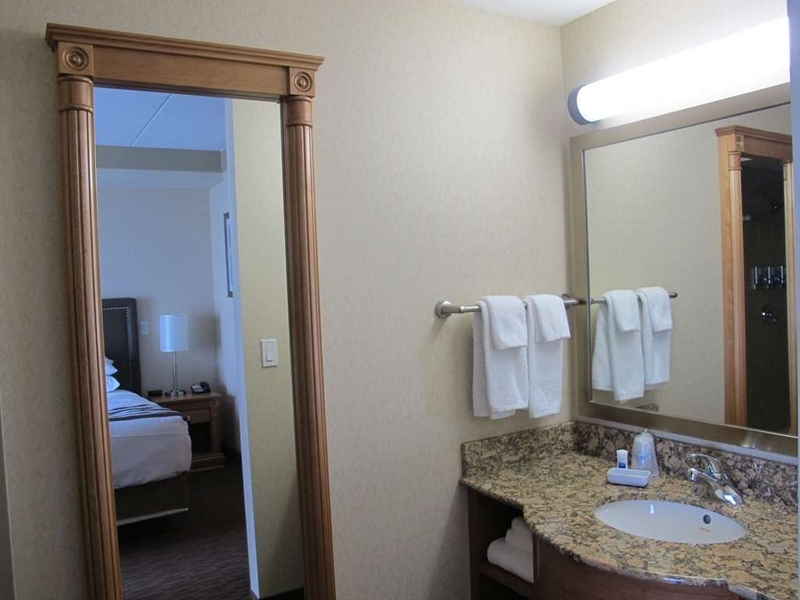 I liked the cleanliness of the room and the bathroom. Wi-fi internet service very good. The breakfast served in the morning was very tasty and the staff were very friendly and helpful. It will be my first choice in my next visits. My wife and I stayed at this hotel for 2 days this week. If I hadn't confirmed and paid a non-refundable deposit I never would have stayed both nights. Free breakfast had been listed on the website but was made available to us only with an additional $10 per person. Staff seemed overwhelmed with nursing home residents who were being housed (I assume temporarily) in the hotel. Our AC never did work in spite of repeated attempts by staff to “repair” it. Overall maintenance of this place looked haphazard. Location isn't bad but I would expect that there are many other alternatives at the same or lesser price in the same area. I would never stay here again! "Decent hotel, but some things require improvement"
Im not one to complain at all but stayed here for work, arrived to not have my reservation, then they tried to charge me $174 a night and I refused to pay that as I only paid $129 the previous 3 weeks I have been staying there. They then told me they couldn't do any better so I went on THERE!!!! website bestwestern.ca and there were better rates right online but they couldn't do any better. Very very disappointed with the service at the front desk and lack of knowledge they had. If there was a negative rating they would of received one today!! Amanda offered the best customer service I have received at Amanda offered phenomenal customer service and she went above and beyond every day of our 6 day stay. She even arranged to have a personalized Birthday Cake to be picked up for my coworkers to surprise me on our last evening at the hotel. She is truly an amazing professional and should be commended and rewarded for her incredible efforts. "Three day stay was ok"
Recently stay at this motel for 3 days. It was ok. Just ok. It was very busy and they had difficulty keeping up with breakfast. It was very busy!! No complaints but I felt nothing stood out as exceptional. I would liked to have seen more personable cheery staff. The little extras. After visiting St Jacobs market we headed over to hotel, what a nice surprise, we had a King size bed in a separate room, compact fridge, microwave and a coffee maker, 2 large tv's, and a very comfy bed chesterfield, well situated across from Conestoga Mall and many restaurants within a short distance, very nice buffet breakfast included, we will return for sure! 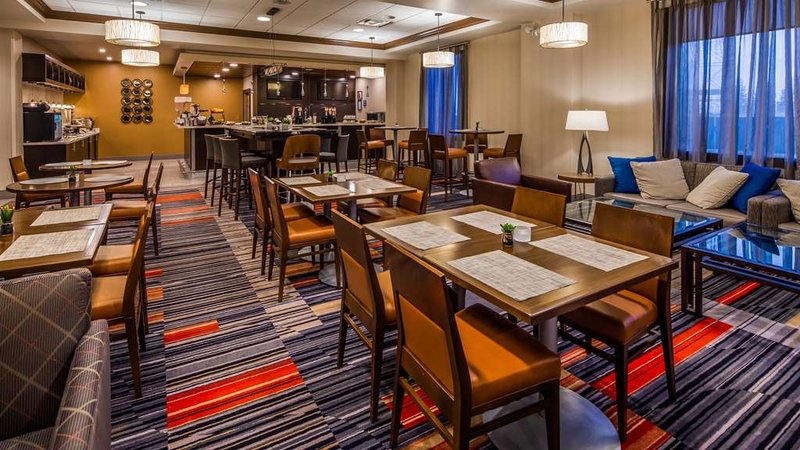 When staying in Waterloo previously I have always used the Holiday Inn Express however, decided due to the price difference to give the Best Western Plus a chance this time. It was great decision. 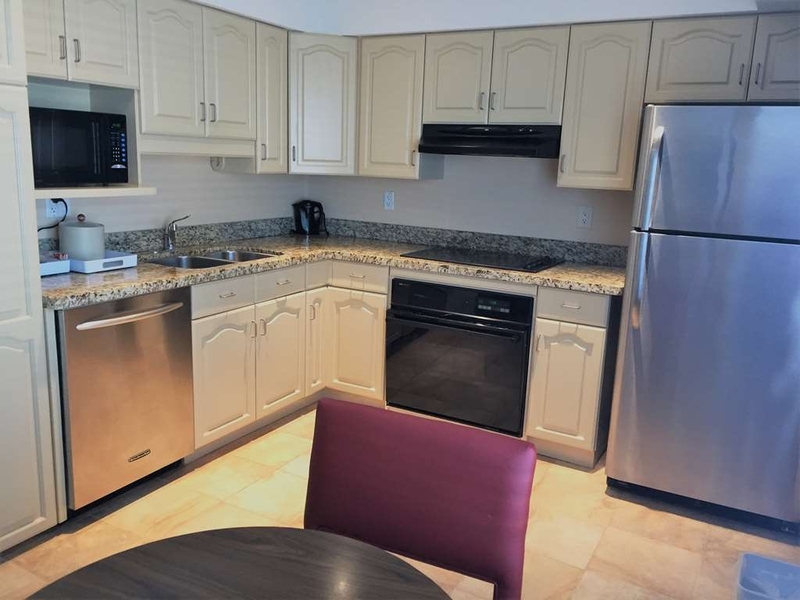 Clearly been renovated and updated since its previous owners and had a very large and well appointed room with microwave, safe. coffee pod machine etc. 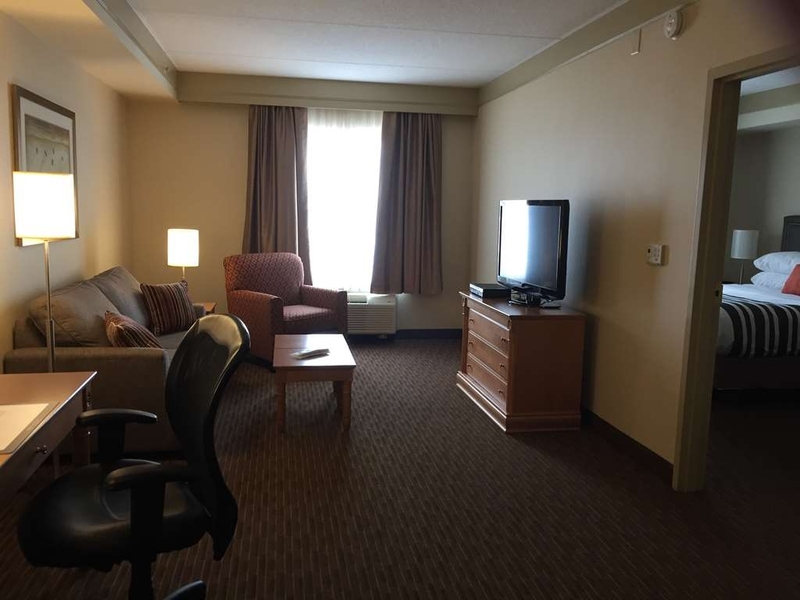 Location is excellent straight opposite mall and is easily found off the 85, 7 and King Street. Had good nights sleep with no noise or disruptions. Only issue was that we hit breakfast when a tour group of 100 school children had already arrived - went back up to the room for 30 minutes then went again with no issues. Would use again and recommend. Would definitely stay there again. Rooms were clean, like the free wi-fi. free breakfast included. Hotel was very accommodating. Beds were comfortable. Staff was courteous and friendly. Group organizer was very helpful. Thank you for the nice review. I am please that all of our staff met your expectations! Good location right across from Conestoga Mall and off the highway - nice and close for visiting St Jacob's. 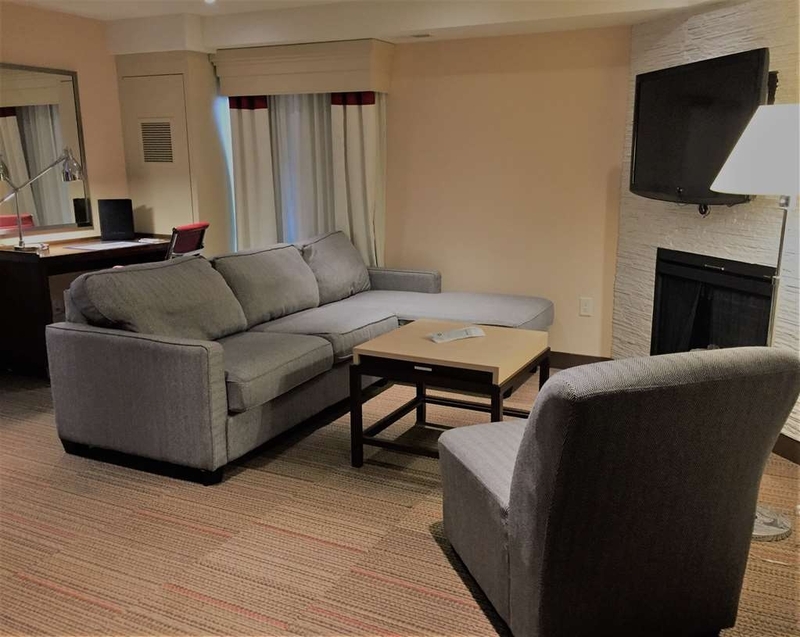 The rooms were clean and bigger than expected - didn't realize our room had a seating area with a couch, and a kitchenette including mini fridge and microwave. The sheets felt clean, and bathrooms were new. There is a restaurant on the first floor (as well as a quick-grab shop) that we visited only for the included breakfast. Good size buffet, with eggs, sausage, waffles, cereal, breads, oatmeal, yogurt, tea, coffee, etc. Also a pool and hot tub in the basement which were much appreciated! Recently stayed here for two nights in a king suite. The room was spacious, clean & well appointed. Bed was so comfortable. Breakfast is a nice touch, also there is a restaurant for dinner & a bar. Will be staying there again. I stayed at the location on June 1, 2018. The rooms were nice but a little small. The pool area was nice and my son had a good time. 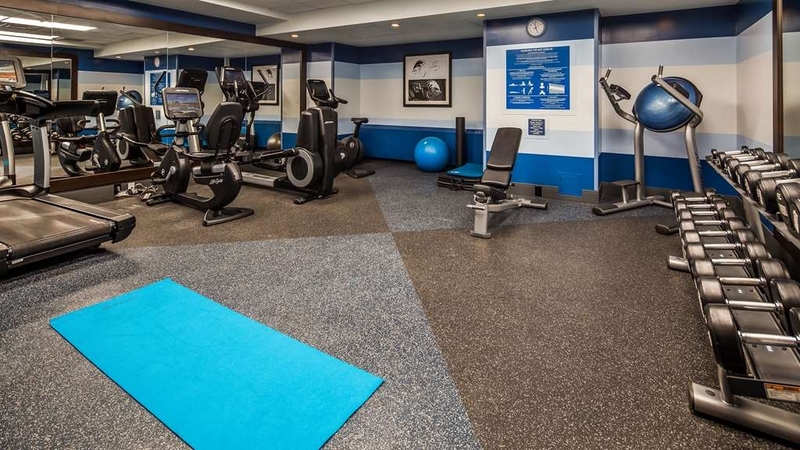 The workout room was nice and was good for a short work out. Other than the small rooms, no complaints.The free breakfast was pretty good. "Average to good hotel, could be better"
I usually stay up near st jacobs. I like to prepare my own meals and there is a massive well stocked wallmart in walking distance. On the downside there is little else in st jacobs. This time i chose to stay in town across the road from conestoga mall. That had benifits for clothes shopping and fast food restaurants, but the only food shop "zehurs" in the mall had limited choice. The hotel itself was ok. I was disappointed to find one of the light switches didnt work. The bathroom sink had no plug so to shave one had to keep the water running. The small fridge was not a fridge freezer so i couldn't store more than 2 days food. There were lots of kitchen cupboards but not a single bit of cutlery or plate. I've stayed in far worse and while some small tweaks would have made a big difference it was reasonably ok. The general impression was that the hotel had seen better days and needed a refresh. The breakfast buffet was ok, much as you might have at home, but some mornings things were crowded and some items seemed to run low. This is a good hotel. Just as in the pictures. Well kept and clean. Good breakfast. Best Western is dependable. Would definitely stay here again and would recommend. Free parking and free breakfast. Across the street from a big mall and close to major thoroughfares for getting around. We stayed at this hotel for one night. We found the location great for going Uptown and the the St. Jacobs Market. The rooms were decent. If you get a good rate I would recommend. The included breakfast was not that great, we found the quality of the coffee and food average to budget. "A good stay in Waterloo"
Visiting University of Waterloo. Like the hotel. Good location. Friendly staff. The room is clean. Breakfast included. During our stay, the eating area is not that busy. Quite comfortable. I really like the in-room TV service. This made me feel like home. The screen is quite big. A great number of HD channels. I stayed here for 2 nights on business. The first room I was given was 205 and had a strange loud vibration which was actually making the light fittings shake. After turning off the air con and the fridge the loud hum was still there so I asked if I could change rooms and was very quickly given another. The rooms are large , clean and comfortable with everything you need, although the decor needs updating in general. WiFi is free and quick so working was easy. There wa some noise at the front from traffic at the Tim Horton's drive through out side which starts early. The breakfast buffet is plentiful if not exciting but there is no bar or food available in the evening and nothing but fast food available close by, so be warned. The staff were polite and helpful. However, I was a bit disappointed with the gym facilities which had quality equipment that wasn't working or at least I couldn't get to work properly and no instructions were available. The air con and TV in the gym didn't seem to be working either. Dear Jan66UK Many thanks for yor review. I shall certainly address your concerns with the appropriate departments. We do hope you choose to stay with us again in the future. Our one-night stay here was simply excellent. Our room was very clean, comfortable and quiet (Deluxe King). Sofa and comfy chair were a nice touch in the well laid out room. The complimentary hot breakfast was excellent, and we enjoyed a very good dinner without having to leave the hotel. The staff was friendly and efficient - and to top things off, the hotel's location is excellent, close to Farmer's Market, Playhouse, etc. Hotel is well located to the Farmer's Market, St. Jacobs and the mall. Lots of places to eat in the area The hotel offers a breakfast included in the rate. Staff were very friendly and were more than happy to offer suggestions of where to go to eat and what attractions were in the area. 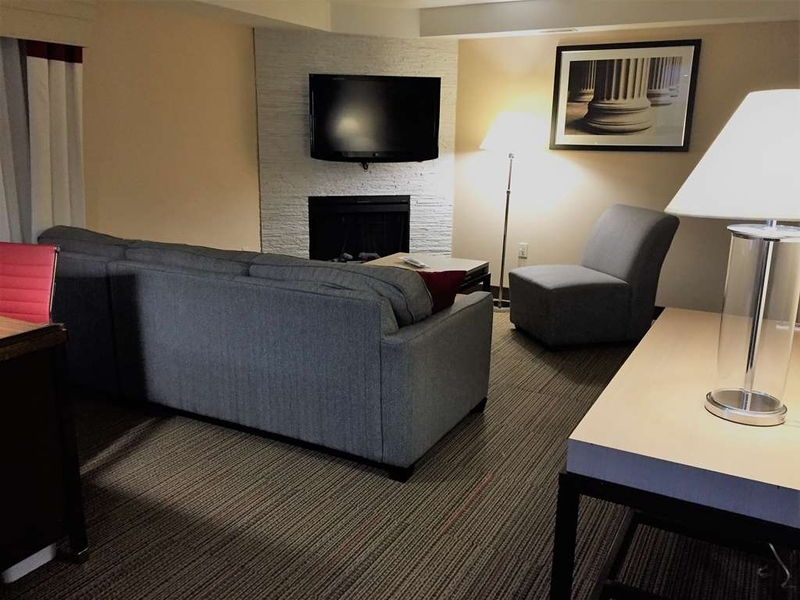 "Beds and pillows so comfy - many nice features added, felt like home." I stayed for 5 days while going to U Waterloo, and was so glad I did. The dorm was too hot, but these rooms were perfect and felt like an apartment more than a hotel. Many nice additional features like a stand alone closet with mirror on the inside, nice large tv, long convenient shelf built into the washroom mirror. A lot of thought into the design and decor. I like comfort and this didn't disappoint. There is a funny way to access rooms on one wing (3 stairs and additional set of doors) but it is a small inconvenience for such an exceptional stay. Stayed here for business and was in a suite - great room. Nice to have a restaurant in the hotel as well. Very happy with the service and accommodation and would stay here again. Free parking, wifi and a business centre were also a plus. "Great location, very good value. Quiet!!" Although the hotel was fully booked, it was nice & quiet! Had a mix of rooms (we had 5 rooms as a group and 4 were recently renovated in the older section and 1 newer room in the tower) and they were clean. Cozy in the 2 Queen bed rooms but not cramped. Great breakfast (need a few more tables perhaps at peak times or have trays to take up to our room??). Lots of parking. Close to RIM Park for our events. Would definitely stay again. Although I travel quite a bit, I have never stayed in a Best Western before and this hotel was above my overall expectations in every way. I would definitely return and recommend to anyone visiting Waterloo and St. Jacobs area. Modern hotel just across the shopping centre. A few restaurants around the corner. Clean confortable an quiet rooms. Good free breakfast. Easy access from the highway. Free and easy parking. My best choice in Waterloo so far. This was a terrible experience! We had no working TV, phone or clock! Also, the pool is tiny and the size of the room is tiny. The good - the breakfast and the price. We usually like this hotel chain. We will never return to this location. "Had a Great One Night Stay"
Room was clean and comfy. Had lots of outlets for charging electronic devices. Big TV, microwave and fridge would have been great for any length stay. Wi-fi was easy to access and worked well. Breakfast was a good way to get the day started. Good location, right across from Conestoga Mall. "Good value, keep your expectations in check"
Good value under $100. Friendly helpful front desk staff. GM not so much. A nice pool and hottub, albeit in the basement with no sunlight. Free breakfast, not to my liking. Waffle maker on the fritz two days in a row. Lots of little glitches, all to be expected at budget property. Booked five weeks on business but moving to alternative hotel. Don't feel particularly valued or respected by management. Rather pay an extra $20-30 a night to feel more welcome on long stay, and hopefully better breakfast. Spent the night at this hotel when I went to pick up my son to bring him home for reading week. Nice place. Very clean and great staff. Rooms are updated and modern. Great place for the price. Only gripe, if I had one, was the restaurant. It always opens late.... I have stayed here two nights and both times it was late to open. The people who run it seem like good people and the service was good. "Uneven hotel, but strengths in the right places"
I stayed at this hotel for 3 nights. Staff were all friendly, the room was clean, and they offered a free hot breakfast. Capital! But there were so many unfortunate issues, that it felt like I was staying in a cheesy motel. For example, the toilet paper holder was fall by off and could no longer hold toilet paper. Rather than fix it, each day the housekeeping staff precariously places tp back on it. The rug in the room was coming up, despite it being recently renovated. The alarm clock did not work. Individually, these were minor issues. Together, it felt like a lesser place. "Stayed for Daughters Competition "
This hotel is lovely! A great value. Bed was very comfortable. The extra space with suite was amazing, sofa and chair and a desk. Plus the bar sink and mini fridge. Front desk staff was friendly and speedy. Breakfast was as expected. "Loudest hotel we have been in"
We travel a lot but never experience this. Room was good but we need hotel for sleep that we did not have at all because of noise. We had room between group of drunk men and couple that fight all time till 1am. Noise from opening and closing door and loud talk did our stay night mare. We apologiose for the inconvenience caused to you by other guests casing disturbance. Asked to be put together with our group knowing there were kids and a baby and a bunch of bags and they put us where we had to lift bags up and down stairs cause there isn't an elevator in that part of the hotel. They put one of my friends who has a baby in a room where the heat wasn't working (it's -12 outside FYI)!!! Oh and we weren't told that check-in time wasn't till 3pm. We thought the hotel knew we needed to check in because of game times. The hotel was kind enough to let the kids use the pool and we kept out of the way and quiet. Our 1st game was at 4 and we still didn't have rooms by 2pm. We asked for the room for the baby to be done first (no heat remember that) and it wasn't ready by 3 so we left. On our way to the game I decided to call and as it turns out 5 minutes after we left the hotel all the rooms except for 2 were ready. I smell a total lie!! Will never stay there again...nor will any of the other 18 families we were with!!! Friendly staff made the check in a breeze. Had us in our rooms in no time. Found the rooms to be comfortable and tastefully decorated. Needed a good sleep after being on the road for a few days and this hotel delivered. Breakfast was as expected. Will stay here again when in the area. Very clean, comfortable, quiet, plenty of hot water, fast internet, good water pressure. Staff was nice and helpful and while I didn't eat breakfast there, it seemed like a nice setup for breakfast. Bed was comfortable and the room definitely light tight when needed. Definitely would stay here again as price was good. Overall happy with the service, rooms and staff. The staff was very helpful and the breakfast was good. It is nice to be able to go and have breakfast right in the hotel and not have to leave. The beds were comfortable and the pillows too. I like the fact it had a fridge and microwave. "Comp night at best western waterloo"
We stayed here because I had a gift certificate for a free night that I won at a work Christmas party. I typically do not stay at Best Western's. We received a complimentary upgrade to a Jacuzzi suite as a nice gesture from the person working at the front desk. The rooms are a little out dated in terms of colour and décor but it was clean. The jacuzzi tub in the room was large but the drying cycle was confusing. The Jets we're so intense and a lot of the settings didn't really work - not allowing it to be less intense. There was an odd stain on the tv stand and water marks in the ceiling. The shower shampoo/conditioner dispenser that was installed by four points(this property was previously a Sheraton property) was still in the shower with the four points logo. A bit odd.. the water pressure in the shower was not great either. Staff at the front desk and in the restaurant we're unprofessional in terms of loud conversations, ignoring customers waiting at the desk or the bar because they were too deep in conversation and smoking right outside of the front door. I personally would not stay here again but for someone looking for a budget friendly hotel with basic needs, this will do. The hotel was our home base for 13 adults and 6 kids. It was a wonderful for all of us to enjoy Christmas together. The breakfast, the pool, and the proximity to stores and restaurants made this an ideal location. The staff was wonderful and very accommodating to us all. 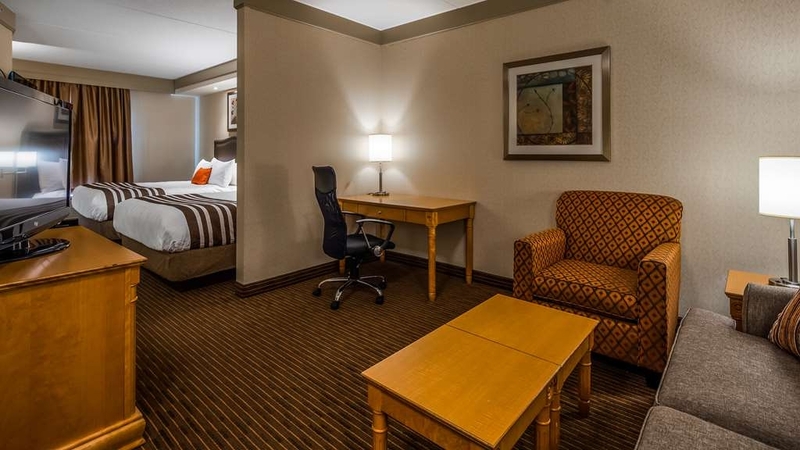 "Review of Best Western Waterloo"
I stay at this hotel several times per year when I come to visit family and friends. The staff are friendly and helpful. The rooms are always ready and clean. The beds are comfortable. Each time I visit my expectations are always met and several times exceeded. Stayed as a family of 4. Rooms a bit small for 4 adults and their luggage. Not a lot of variety for breakfast but adequate. Other than that great value for money. Clean, efficient and staff cheerful especially over the Christmas period. Gingerbread men with coffee in the foyer a nice touch! Condom behind the toilet, loudest hotel we have been in, I'm sure the walls are paper.. the list goes on. The front desk, was unsure of what to do, we had to make suggestions to help them out to resolve the issues. a few of us booked for a wedding. Our rooms were very clean and bright. Free Canadian breakfast (bacon and eggs) , free wifi. Pool was clean. Shopping mall located across the street Only ten minute drive to downtown. Good value for what is offered. Was a hassle free pleasant experience family enjoyed their time. Was grateful breakfadt was brought out again for us as it took an hour to get everyone dressed and down to breakfast we arrived at 9:40am. No rush to make us finish breakfast either. "one night stay in December"
This is a great little hotel. We stayed on a Saturday night in December. The room was bigger than normal and tastefully updated. We arrived early and the staff let us check in, no problem. There was a beautiful huge Christmas tree in the lobby which was a nice touch. Breakfast was pretty good and the waffle machine was a nice touch. We enjoyed the pool too, though the hot tub as out of service. My only word of advice would be to anyone with mobility or any difficulty with stairs and suitcases, just make sure to ask for a room in the taller building where you can access the room directly from the elevator. We were on the 2nd floor in the short section and though we could take the elevator to the 2nd floor you had to walk a few stairs to get to our room. Not a problem for us, but I could see this being a challenge for some. Lots of good restaurants and coffee within walking distance. The wife and i stayed at this motel for the weekend while we visited family and did some Christmas shopping. The room was spacious and beds very comfortable .Wide assortment of food for breakfast..Both hot and cold items ..we never had a chance to check out the pool , but we will for sure the next time we stay there. "Good stay, walking distance to Conestoga Mall"
Breakfast quality was poor. Not too many choices of bread. No bathtub in the washroom, all the water went on the floor, especially when you have kids. If you have a stroller, you have to mention it because on one side of the hotel there is no elevator that goes to the rooms. "Hockey kids and parents spoiled the trip." Night family visit was destroyed by minor hockey teams gathered for a local tournament, who insists on partying both nights on our floor. Complaints to the front desk generated only modest action until the middle of the second night, when they finally kicked them out. The hotel's response was weak, but they are not the real source of the problem. Shame on the Windsor minor hockey association. With the level of parenting those hockey moms provide, I feel sorry for the teens. Hotel is nice. Decent for the price. Carpet in room was dirty and hotel gym way too hot to be comfortable in. Hotel staff helpful and friendly. Although I didn't visit, across the street from a mall. Many restaurants in the area. Close to St Jacobs. Would definitely recommend, beds are super comfy and roomy. Rooms are a very nice size and well equipped with mini-fridge and coffee pot. Jacuzzi tub was awesome and the soft water was an added bonus. "No Value on Customer Service"
The Best Western Plus has a good location and that is the ONLY good thing about it. It is not reason enough to stay there. The outside of the building is disgusting and in desperate need of repair. There is no value placed on customer service. My reservation was confusing from start to finish and I was partially billed for a room I never checked into. I will NEVER stay at this hotel again. There are other nicer hotels in the area. "Incompetent and immature front desk personnel made brief stay miserable"
This was the worst experience I have had in 50 years of travelling. The two women at the desk took a problem and through their rather immature and argumentative - and absolutely unhelpful - response to first, the noise in the hallways, and second, our complaints. They require some training in dealing with people, especially in their roles. They essentially said we lied about when we called them (and we were right) which, I admit, took me to a position of anger, which they found amusing. I apologize for tossing the business cards onto the counter but they had infuriated me by adding insult to injury. The essential problem was that an enormous group of young children and their parents and coaches arrived an hour after we settled in. We were shocked by the hallway noise of both children and adults that went on for hours. When we first called the desk, about an hour after we arrived and the hordes descended upon our hallway, we asked to be moved to another room because it was obvious that the mayhem would naturally continue but whoever was at the desk (around 4 pm) said she couldn't because "we have a bunch of teams who have just checked in and they are all over the hotel." Her offer was to have "someone come up" in 15 minutes or so to talk to them and then, anyway, at 9 pm "security would be here to quiet them down." Either "solution" was obviously worthless under the circumstances. I don't know whether or not anyone did come up but there was no change in the astonishing noise level. By 5 pm we understood that we were to receive no help from staff. We began to call around for alternate hotels, most of which were full, but found good accommodations at the Delta on Erb. We had to guarantee arrival with a credit card (it was already 5:45 pm). We then packed and went downstairs where I received no offer of any aid, it was all on me to contact the "manager" in the morning. Finally one of the two suddenly said there was a suite available that she said was quiet (where was that when we asked to be moved hours earlier?) but by that time we had reserved, guaranteed, a room elsewhere. Then one said I had first called at 5 pm (what did that have to do with the situation?) and then absolutely denied we had called an hour earlier. Since I was told there was nothing they could do about a cancellation and I would have to contact booking.com I then asked for something in writing that I could supply to booking.com to better convince booking.com that because we had checked in, our leaving early was absolutely proper and necessary. I insisted on something in writing and what they gave me was insulting and offensive: a business card from the hotel with the following on the back, in pencil. "242' and "left early" and when I asked for them to at least sign it with their names, the whispered to each other and then wrote down two sets of initials (not names) which may or may not have been theirs. It said nothing about the reason for our leaving early. What could have prevented this fiasco? 1) They could have informed us at arrival about the anticipated noise and offered us the opportunity to cancel the reservation and look elsewhere, easier to do at 2 pm. 2) They could have placed us in a room that would be away from the noise, something they denied existed until we were nearly out your front door. 3) They could have behaved in a more helpful manner, not lied to us, and not found the situation amusing. 4) They could have offered me a paragraph or so on the circumstances of our leaving early that I could have used in fighting with booking..com. They never said BW could handle this for us, as you successfully did. 5) We were treated with arrogance and a total lack of respect by your staff. I suspect they were defensive but that is your problem, not mine. I was about to write the first one-star review I have ever written about a hotel when I recveived in the morning a note from booking.com and one from Andrea, a guest Service Supervisor, cancelling all charges for the previous day. Since I hadn't yet contacted her she must have heard all about this when she came in the morning and handled everything perfectly and to our satisfaction. Now I can happily at least append the happy ending provided by a capable supervisor. The room, for the three of four hours we were there, was great and clean. What could have prevented this fiasco? 1) They could have informed us at arrival about the anticipated noise and offered us the opportunity to cancel the reservation and look elsewhere, easier to do at 2 pm. 2) They could have placed us in a room that would be away from the noise, something they denied existed until we were nearly out your the front door. 3) They could have behaved in a more helpful manner, not lied to us, and not found the situation amusing. 4) They could have offered me a paragraph or so on the circumstances of our leaving early that I could have used in fighting with booking..com. They never said BW could handle this for us, as the supervisor successfully did. 5) We were treated with arrogance and a total lack of respect by your staff. I suspect they were defensive but that is your problem, not mine. I don't doubt this is an excellent hotel worthy of its ratings, but staff so terribly defensive, dishonest, insulting, and useless would drag down any hostelry. Was actually quiet in the hallways during out stay at the hockey tournament - normally it is loud. We booked a board room to have a team dinner/evening and the team loved being together. Close to the mall. "It was a Great atmospher had fun. Wifi speed was fast for keeping up with several children's gaming and movies." It was a Great atmospher. The Kids had fun. Wifi speed was fast for keeping up with several children's gaming and movies. The manager had a pleasant attitude. Esp. Dealing with a hotel filled with hockey teams. "Booking thru TripAdvisor and above expectations"
This a great hotel to stay at. 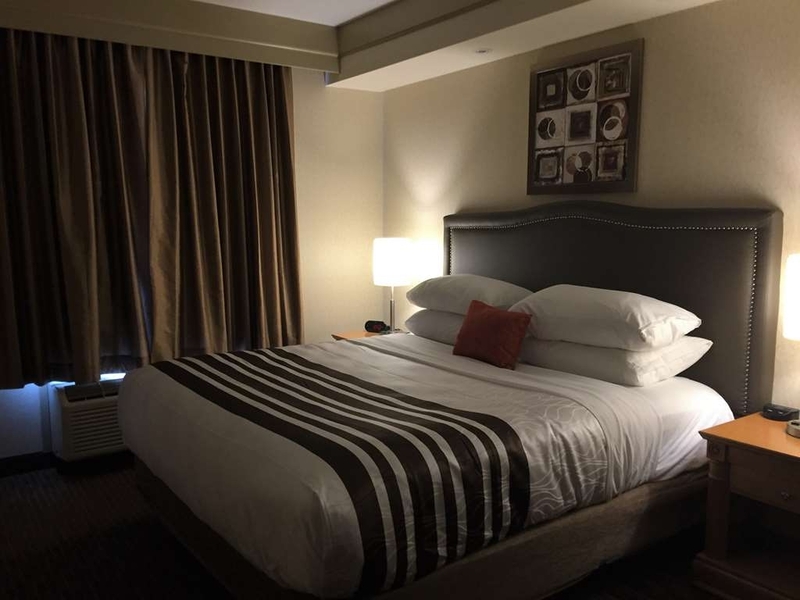 Service is excellent the price is also great and the rooms are terrific. There were no problems with our booking our room was ready when we arrived, and we extended our stay also with no problems. I would suggest that anyone who requires online booking for hotels use tripadvisor to book thru they will be very happy that they did; we were. I had a decent stay, but certain things could have been better. The room thermostat didn't work, I had to manually adjust the heating. Also, I found a ladybug in my room (disgusting). Other than that, was happy. Staff were very helpful. Warm surroundings and good breakfast. Centrally located for the tournament schedule. Arenas were all within fifteen minutes from each other. Close to major highways. 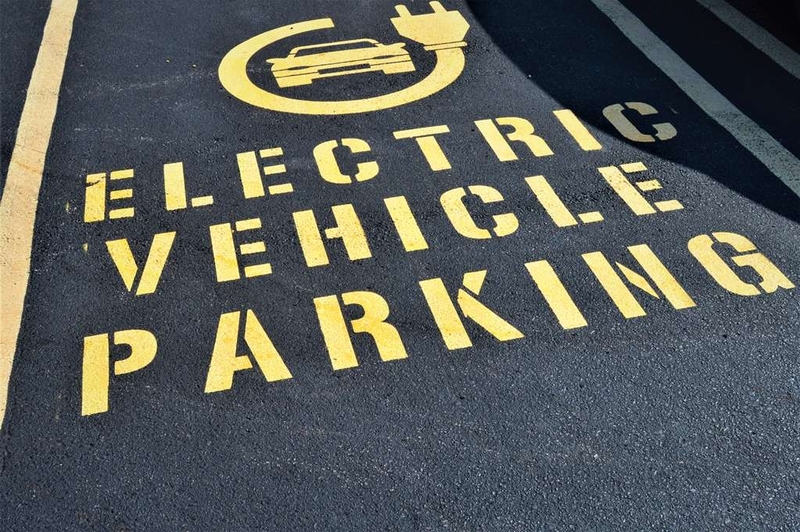 Also set in a commercial area for dining and fuel centers as well. 2 nights stay at the hotel to attend a conference. Room is clean, King size bed is comfortable and the room is quiet. Breakfast variety is reasonable. I'll definitely recommend to any visitor. Location is very convenient with free parking. "Decent place but watch what you're charged for..."
We stayed for two days and the place was good. Breakfast was a good serving of hot and cold items. We planned to come back in October. I booked for a three night stay in October in early August but our plans changed so I had to cancel and I did in late August. Imagine my surprise when my credit card was billed for a nights stay the day after we would have been there in October. I contacted the hotel about the charge indicating that I had an email confirmation of it being cancelled in August. They claimed that they had not billed my credit card and I asked them why is there a charge for one night after I would've stayed there. They stated again that they hadn't charged my card and to call my bank. I did call the bank and now I wait while they investigate. It's only logical that they did charge my card as it said it was a charge from their hotel. Why not just rectify it and admit to their mistake. This disservice will lead me to not return to this hotel which is unfortunate because it's a decent place overall. Personable staff at check in and check out. Appreciated wake up call. Very good buffet breakfast with a variety of offerings. Comfortable room with king bed and useful climate control device. Quiet surroundings. "Excellent Hotel Especially for the Cost"
I enjoyed my recent stay at this hotel. The room was nicely decorated, extremely clean and the beds very comfortable. The pool and hot tub were a great welcome after a long day of traveling. The breakfast had a great variety and was very tasty. Overall excellent stay. Highly recommended. Nice room, enjoyed the glassed in shower without the tub. Everyone at front desk very helpful and courteous. Hallways echo a lot so it can be noisy when kids running in hall. Breakfast was good with a big variety of hot and cold items. Get ready to have your expectations of Best Westerns upgraded. 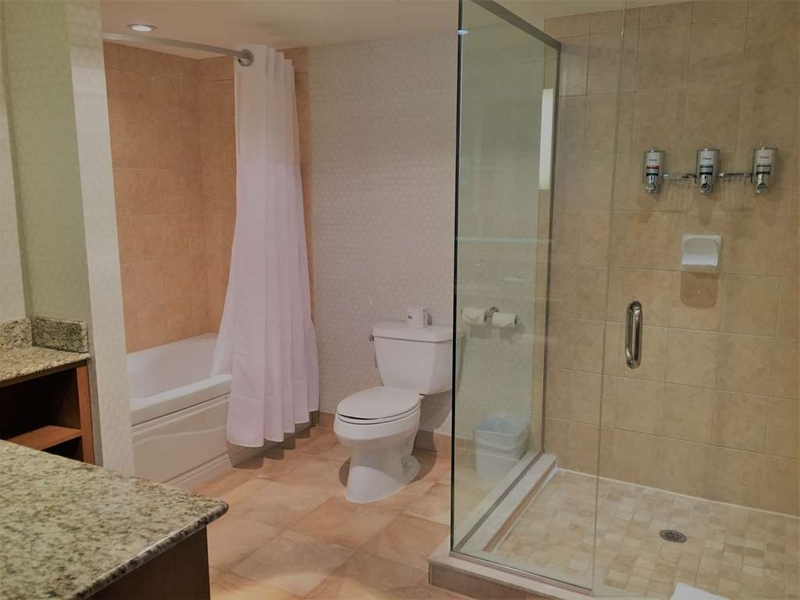 This is a nice property with clean, large, comfortable rooms and excellent amenities. And when we needed the room for a couple of extra nights, the staff couldn't have been more accommodating. The room was good, once we got there through 2 extra staircases in the middle of the hall. Poor service at desk when we arrived later in the evening. Place was clean. Good location. Reasonable price. Breakfast was disappointing. Overcooked potatoes, runny eggs, no hot water for tea. Dirty dishes left on tables for 45+ minutes. Too bad, usually have better experience with BW. We stayed at this hotel in October,2017. The lobby was impressive and provided a positive entry into this hotel.The rooms were excellent. They have updated decor and were large in size. The fit and finish of the room was exceptional. 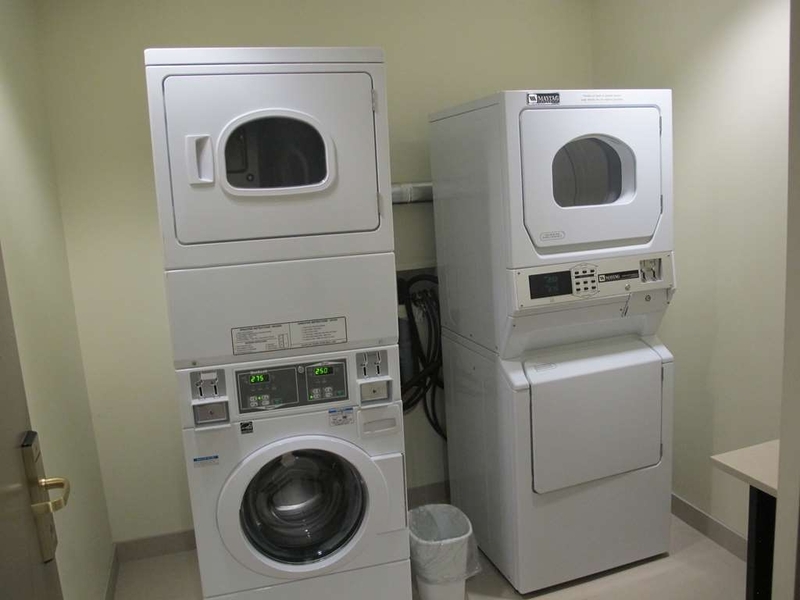 I enjoyed the whirlpool in my room and the kitchenette.Overall it was a high end room. The room was very quiet. The breakfast was positive and offered many cold and hot options. I would return to this hotel and recommend it to any travelers. Fully renovated hotel. Reasonably priced. Bathroom door did not close. Absolutely no service at the on-site restaurant, we had to find a restaurant in town. Only one staff person who was doing the cooking duties at the back and could not attend to the customers. I specially requested a quiet room and booked many months in advance as we were going to a special event. Room given was on the first floor beside the front door with cars parked very close to window. People smoking outside our window and calling to friends late in the night as they were checking in. "Terrible Hotel - smelly rooms and party central"
The only good thing about this hotel is the bed was comfortable. These are the top things of why I will never stay at this hotel: - Room smelled awful, housekeeping came and sprayed and agreed it smelled like dead fish. Went to front desk and they could not give us another room due to full capacity. - Not enough parking spaces - came back from dinner after a long day on the road and there were no parking spaces, went to front desk to complain and ask where I am supposed to park? The front desk said it wasn't her problem, and I disagreed saying yes it was. She finally offered me her parking spot since she was off work in 10 minutes. I thanked her for the parking space. - Party in the hallway - the lobby area and the hallway all the way down were full of people drinking and socializing. - Phone did not work in room, had to use my cellphone to call the front desk around 11:45pm to complain of the hallway party, the security came down and had them all go back to their rooms. - Breakfast- not enough places to eat and it was very busy due to the hockey team staying there so had to go out and pay for breakfast. - Checkout - asked about my discount/credit for all the problems and the front desk said they couldn't give me anything due to my paying for it through Hotwire. Very unhappy as they had my credit card on file and could have offered a discount/credit through it. I was present for a hockey tournament over the weekend. I failed to book with the team so I did/attempted to do so directly through the hotel. 1.5 weeks ago I called in and it was confirmed there were no rooms available for the Friday night so I proceeded to book another hotel. I came to the Best Western with the team on Saturday afternoon. At 1:30pm I decided I would stay if there were any rooms available. I inquired with the front staff member if there were any rooms available and I was told there were not. It was suggested I leave my name and phone number which I did. I remained in the hotel the entire afternoon waiting for a call back (if a room was to become available). Myself and my two sons were between rooms. Since I did not receive a call back I was under the assumption there were no rooms available. Later that afternoon (at 5pm) our coach inquired with the front staff and it was confirmed there were two rooms available (?). I then proceeded to book my room. When I inquired about providing my name and phone number earlier in the afternoon, I learned the note was right beside the front computer but the staff member just shrugged her shoulders and had no explanation. I was just pressured to book a room as it would likely no longer be vacant. 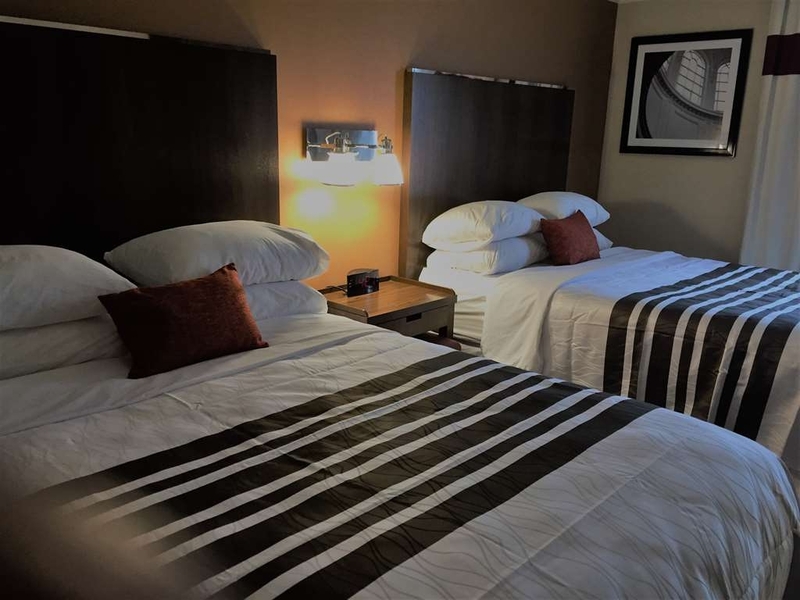 "Nice hotel, but no hot water in the morning"
This is a nice hotel, very clean, good staff, and is in a convenient location across from the Conestoga Mall. We encountered a big problem in the morning, with no hot water for shaving or showering. I would expect that a hotel should have an adequate system in place to ensure enough hot water for multiple guests showering at the same time. 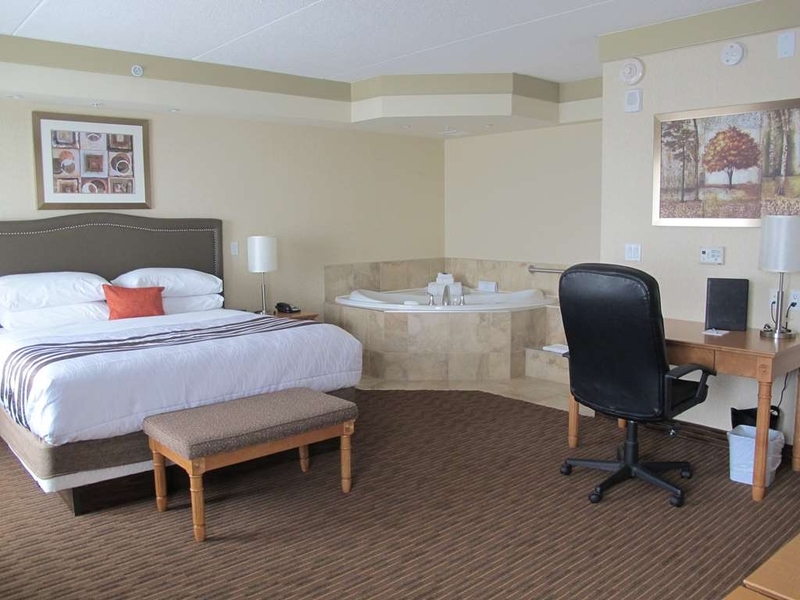 We arrived on the 12th & were pleasantly surprised to get the up-grade in our room, which included a Jacuzzi . The room was well laid out & clean, king size bed very comfortable . While there were minor issues with tv initially , the staff promptly fixed it. We really enjoyed the continental breakfast. The staff were very friendly & knowledgeable & provided excellent service. All in all, we wouldn't hesitate to recommend this hotel to others & will certainly be back in future. There were no negative issues with your hotel. The staff was very helpful with information about the area and helpful with suggestions and directions. Hotel was clean, comfortable and quiet. We encountered no problems the room was well equipped and everything in good working order. There could be some improvements with the complimentary breakfast. What was supplied was sufficient but the eggs and sausages were cold. It was the only time I didn't see staff readily available in this area. It was in a very good location to do a little sight seeing and for the popular St. Jacobs market. We thoroughly enjoyed our stay and would definitely return. "I Want One of Those Pillows"
After a quick departure from a grungy, dirty, filthy motel, we cut our losses and arrived at the very clean and fresh smelling room at the Best Western Plus, Waterloo. I've always been a fan of Best Western Plus hotels. The price is right, the accommodations are always clean and comfortable and this one was up to par. Yes, perspective is everything, and we had just left a place that looked like a future crime scene, which made me appreciate the little things...like cleanliness...fresh smell...and furniture that didn't look like it hadn't been taken out of a dumpster but even if I hadn't had just experienced motel hell, this place would have still have been great. The kingsize bed was more comfortable than my bed and I have a very good mattress. The pillows...you know when a pillow just cradles your head and it's perfect....not too puffy, not too flat, just perfect? Well, those were the pillows...and I meant to read the tag to find out what brand there were as my pillows at home are ready to go into a dog bed. Everything was clean. I realize I keep going on about the cleanliness but we had just left a dirty nightmare of a motel room and so it was akin to going from hell to heaven. So when I read a review like the one who said "The hotel is clean and basic...blankets need to be thicker...furniture is dated...etc" I just want to march them over to the dive we just left and show them what dated furniture looks like. There was absolutely nothing wrong with our room - we both had a wonderful sleep. "Nice hotel but what's with the cheap dining setup??" Nice clean hotel with friendly staff. Had a massive suite - really nice room. Only issue is breakfast having to use paper plates and plastic cutlery. Really cheapens the experience overall. Also, give your guests milk in the room rather than powder. "547 King St. West Waterloo. Best Western." The hotel is clean and basic. The blankets need to be thicker and provide more comfort. The furniture in the rooms is dated. The windows need to be operable. Everything is brown and dull in presentation. The front desk staff are polite and helpful. The complimentary breakfast has your typical scrambled eggs that sit in the dish too long (but what are you going to do??) and the sausage is greasy. The cereals are a good option. The bagels is too thick, doughy and boring. The yogurt offered is good. The tea desperately needs an update asap. Good for a one night stay if there is nothing else you can book in the city. "Not safe and they don't care." "Great staff. Tired, old and broken appliances and electronics"
My title says it all. The staff was superb, especially the front desk lady. The room was comfortable enough, however, badly laid-out as there was hardly any room to walk. The television and remote set-up were old, tired, messy and complicated. The ironing board was broken and would not stand up. All else was average to good. Fantastic experience at this location. Kids were happy to have the use of indoor pool. Breakfast was excellent, we went early enough so there was plenty of food. Friends of ours were late coming to breakfast and food was running out. We were very pleased with our stay in this hotel in Waterloo. Very close to the market, very friendly and helpful staff, comfortable room, great breakfast, quiet and close to shopping. Wonderful restaurants close by and easy access to the hotel. "Pleasant stay in convenient location"
"Receptionist at check in complete sucked and sketchy"
"Trip to St. Jacob country"
Excellent experience in the Best Western Plus in Waterloo. Great location----in the middle of shopping centres, easy access to St. Jacob's Market and village, and also to K/W. We stayed in a king suite. The bed was amazingly comfortable with pillows that you melt into. The sitting area was cozy. Bathroom was immaculate .Kitchenette came with microwave and handy bar fridge. We'll choose this hotel again next time we're in that area. Really impressed with this hotel. Room was super clean and staff were all second too none!! Got in around 8:30 at night and they have a nice bar and food til 9:30 which we enjoyed immensely after a long day on the road. Breakfast was best I have had at any hotels that I have stayed at. I highly recommend this hotel and future trips to Waterloo area we will be staying here! Thanks again Staff of Best Western Plus Waterloo for an enjoyable stay!! The family and I took a trip to the St. Jacob's market in Aug. and wanted somewhere close by to stay overnight where we could swim, go out for dinner, relax and then return home the next day. This very wonderfully updated motel, checked all the boxes and more. The family room we had was perfect, with two very comfortable queen beds and a sofa bed for my grandson to sleep on. We had a kitchenette and two TV's. There was a safe in the room and we even had a great hot breakfast included the next morning with waffles, eggs, bacon/sausage and all the fixin's. The staff were very obliging, and the swimming pool and whirlpool very well kept. The cleanliness in the whole building was remarkable.If we ever return to Waterloo, we will definitely return to this very wonderful motel. Decided to surprise my sister for her birthday with a weekend away in St Jacobs with our mom. Found this hotel and booked it. Wow. Staff were great and friendly. Accommodations A1! Pool was so nice as well as hot tub and the breakfast that was served the next morning was wonderful. Fresh made order waffles eggs sausages cereal juice coffee anything you wanted was there! We all had a great weekend! Excellent service from staff. Hotel felt warm and incur. Decor was modern and up to date. Very impressed. I would recommend staying here. I forgot to bring my bathing suit but plan on using the pool next time! "Getting grandchild off to University"
Near to the campus as well as other stores to get supplies and equipment . Hotel very quiet considering the full capacity that weekend. Parking convenient to stairwell and well lite. Sunday breakfast very basic and dining room was overcrowded, very little seating, but Monday am a much better breakfast. No croissant or Danish pastry available. "Friendly staff but poor customer service"
Good reception, WIFI, breakfast on this location. Parking is easy. Rooms had comfortable beds. There is a small pool which is open until 11 PM. Best Western quality at a high level. Express checkout possible. Very convenient location, easy to access. The room was super clean and very comfortable! Breakfast was included in our stay and it was wonderful. Will most definitely return and highly recommend to anyone staying in the north Waterloo area. I had a good experiences with staying in this Best Western hotel as it is the closest to my daughter's skating competition place in Waterloo.Our bathroom looks renovated and there was plenty of hot water .I have one complaint and that was when we enter our room ,I can smell some funny smell like mould and I guess it could be from the dampness of the carpet from year ago and I think, the carpet will need to be neutralize with a carpet fresherner .I have a good experiences with the staffs in the breakfast room as they tried to replenish the foods when asked and quickly too. The breakfast potatoes were delicious but other stuffs are typical "hotel" breakfast. At least there is a waffle maker to make fresh waffles.There is nothing much when you step outside the hotel as it is in an industrial area but across from the hotel there is a Starbucks and few stores . This place is not for "party" goers as it is for families who wants to stay overnight and for their kids who are doing competitions in RIM park or doing a game closeby as I saw a few families taking their kids to the soccer game.The swimming pool is small but the fitness center is a fair size. "if there minus review i would have put it"
"Updated, Clean and Great Beds!" We chose this hotel because of how close it was to the Grey Silo Golf Course. 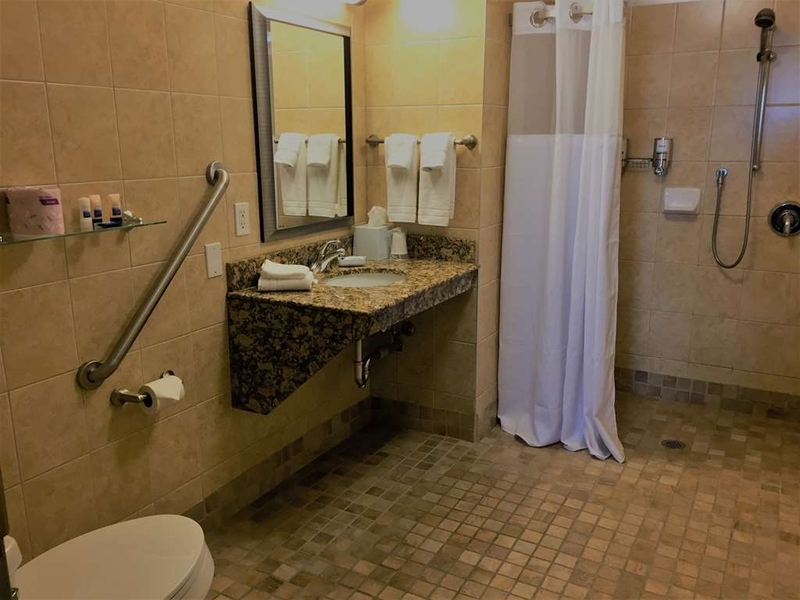 We were very pleased with our choice not only because we found the room to be very comfortable but the entire staff was very pleasant as well as extremely helpful. The breakfast which was included in our stay was perfect for my son and me. He gravitated towards the homemade waffles and eggs while I enjoyed the many varieties of yogurt and oatmeal. We also enjoyed the indoor pool and hot tub! We were very pleased with our choice. Would seriously stay there again. Loved the two TV's . The breakfast was excellent nice choice. Parking was close to the front entry. The elevator was very fast, nice and clean. 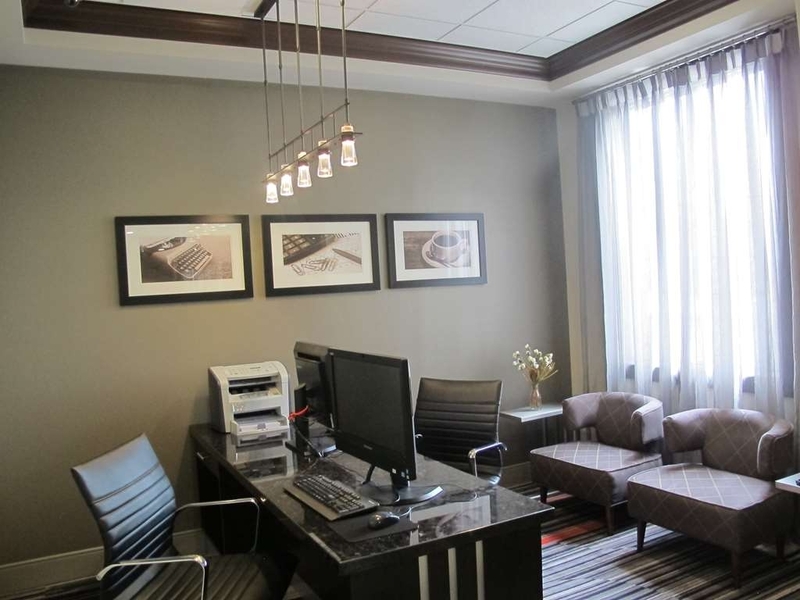 Engaged employees, customer focus on excellence, and very comfortable rooms. Detail oriented staff and the amenities were satisfactory. Fantastic value, seamless reservation system and fast check-out. "Excellent hotel in Waterloo/ St Jacobs"
We got in very late (after midnight) and left fairly early (before 10AM) so we did not spend that much time in the hotel. 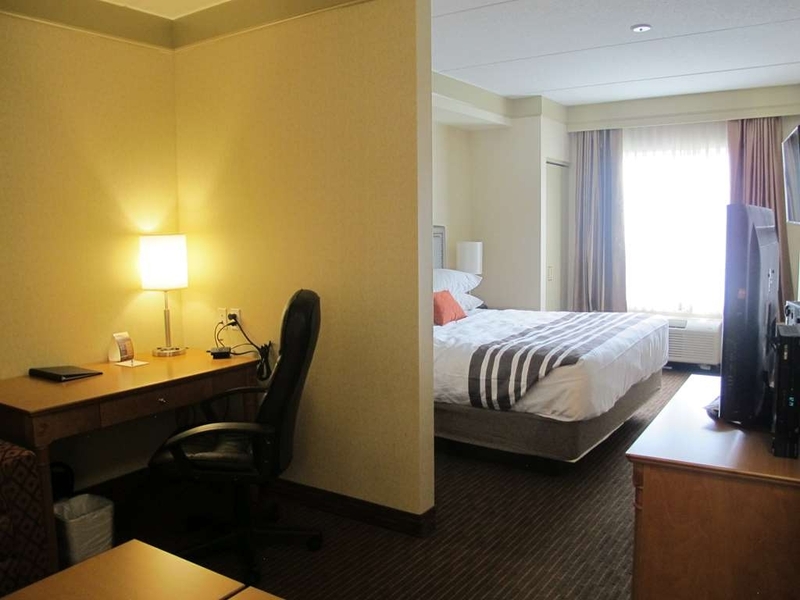 Location is great for getting to/from University of Waterloo. Hotel had a fair price for a room that sleeps 5, which is always a pleasure to find. The breakfast (included in the price) was adequate, nothing special but not bad. The kids declined the opportunity to try the pool - it is on the small side so you will not get a good energetic swim going easily. The room did have 2 TVs... neither of which we could get working. It wasn't worth getting fixed since we were there for such a short time but it would have been irritating if we had time to kill. 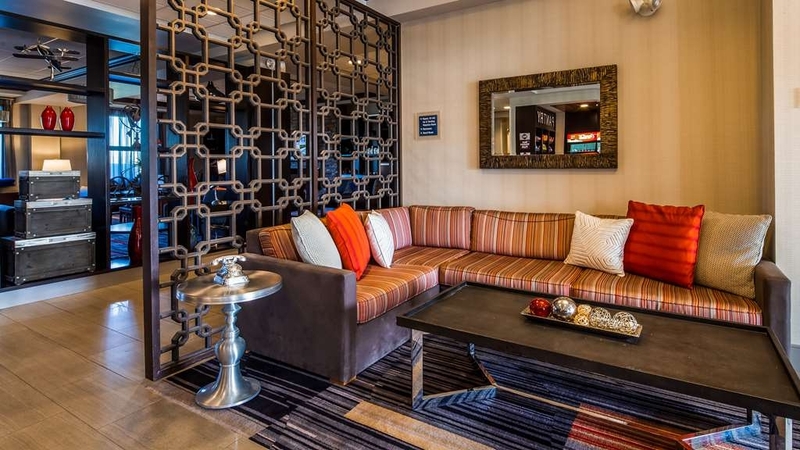 "Comfortable, convenient and price matching"
Enjoyed our stay. Second time in four months. Good value. They matched discounted rate when price dropped on Trip Advisor site. Simply called hotel directly and they adjusted rate. Breakfast was basic but adequate, a hot breakfast more than simple continental. Fridge and microwave in rooms. Stumbled on this great gem in Waterloo while in town. Its just in the transition of changing into a Best Western hotel. 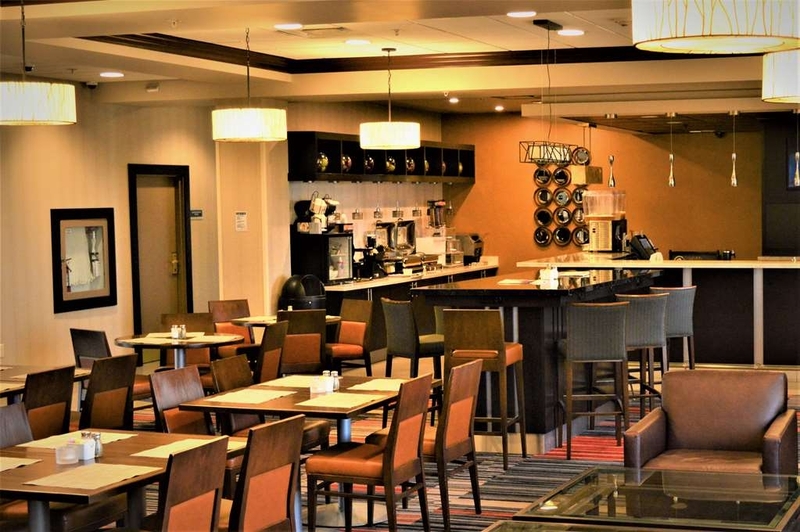 I was very impressed with the whole experience from our check in girl Jessica and in the morning running the continental buffet breakfast Donna/Ramona who was very curtious and helpful and took pride In her service in the eating area. Also the nice young lady Andrea who was very polite and curtious upon check out and I have to add very easy on the eyes. Clean rooms and very impressive lobby and sitting area. Unbelievably comfortable place to stay. Great prices also. I will definitely be returning there on my next trip on business in Waterloo.